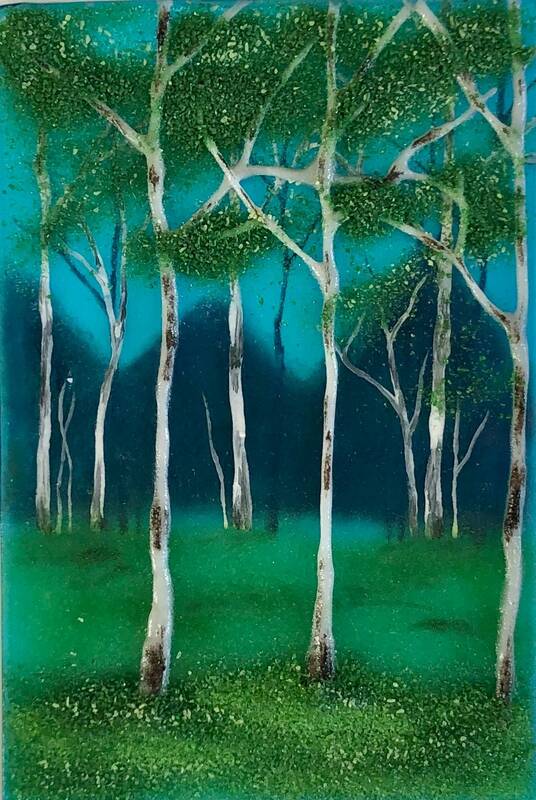 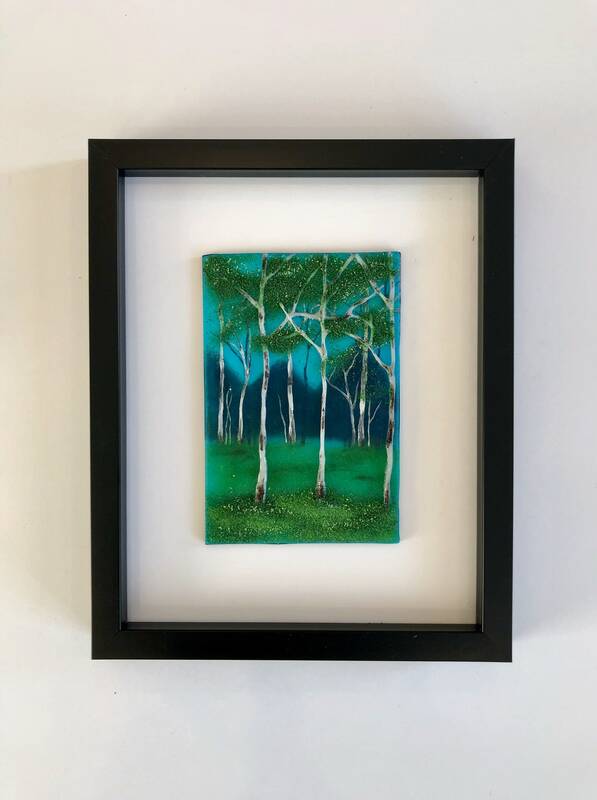 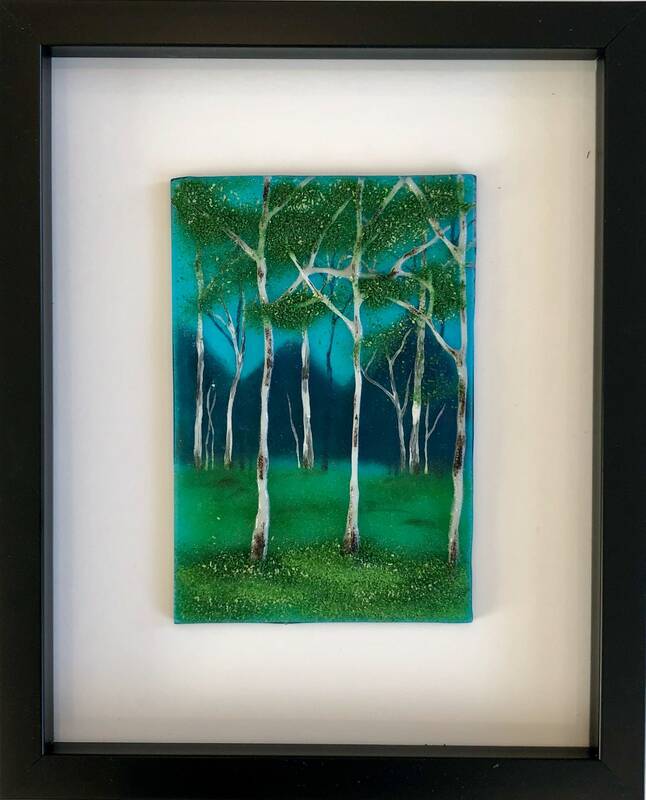 Bring nature inside with this amazing handmade fused glass panel. 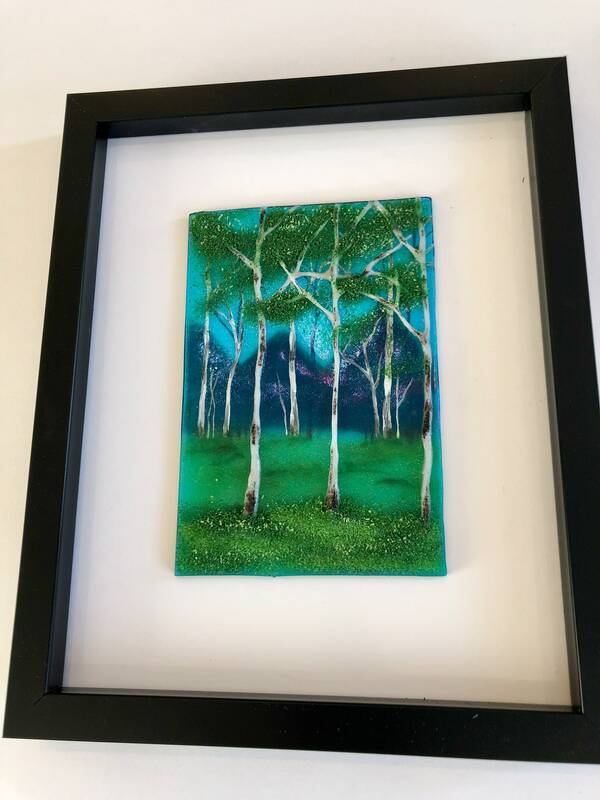 This beautiful piece has an amazing iridescent background in a aqua blue with mountains and trees. 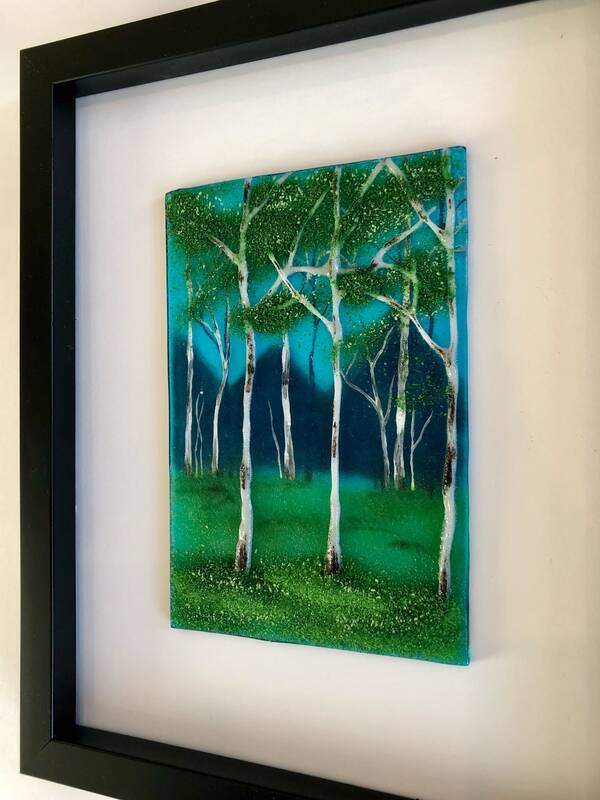 The trees and grass and leaves give incredible depth and texture. 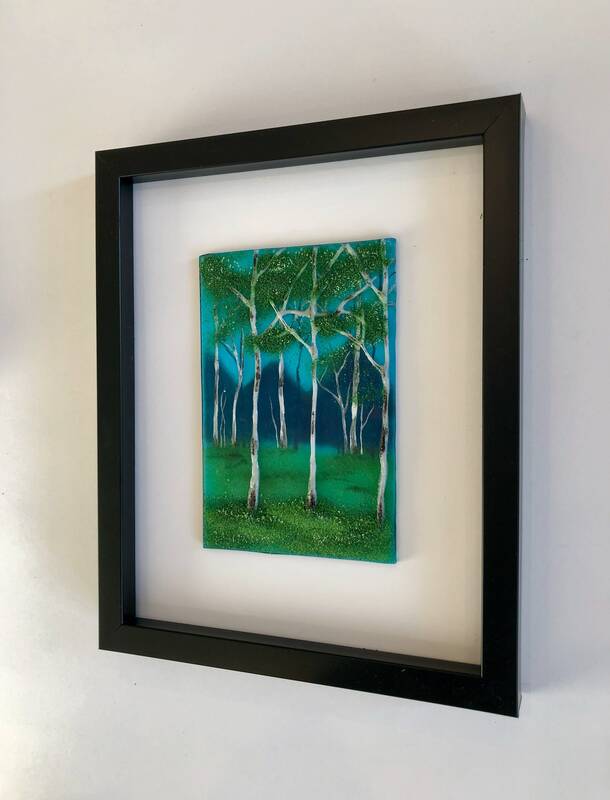 It would be a conversation piece in any room.